Gutters are an essential part of your home’s weather and waterproofing system and it’s essential to ensure they’re clean and clear of debris. It’s not unusual to find gutters with grass, moss or even a bird’s nest inside, and this will block the drainage system. Of course, you can’t see the gutter’s contents from below so it’s often too late before you realise there’s a problem. Gutters need to be cleaned regularly to ensure they’re always in optimum condition to work your home’s drainage system. Twice a year is ideal for having your guttering professionally cleaned. For homes located under trees the gutter should be cleaned more regularly, as more debris and leaves are likely to clutter the system. Before winter is also an advised time to have your gutter cleaned, and dirt and debris trapped in the system could freeze. This will have an effect on the brackets and mounting, putting extra pressure on the pipework. Rust could also form if excess water isn’t drained and this could even cause damage to your house. The last thing you want is damp coming through the wall, causing your more hassle and financial worries. Your gutter is an essential part of your drainage system and any problems can have a damaging effect to the gutter and your home. 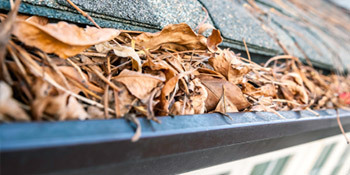 To ensure no problems strike and everything runs to plan, complete our quick form and receive up to four FREE quotes for gutter clearance from local, vetted and reputable companies. Ensure you get the right gutter cleaning prices and save money with our FREE service. Project: Customer visited the myguttering.co.uk site and submitted an enquiry. Property type: Detached, Property owner: Owner, Work description: Gutter cleaning on three storey town house. Project: Terrace house requiring front and back gutters clearing and in all probability all down pipes as well. NB. No external rear access, only access is through house. What a great bloke. Couldn't have been more helpful. I had no knowledge or contact with Quotatis before the firms contacted me. But I was impressed with the two who called. Quotation found me the company to do the job.